Actually, I wanted to have the title of the post as “Life is difficult”, I believe Entrepreneurship is Life because it starts to consume everything you do. To quote Steve Jobs, if you want to do great things you have to love what you do and when you love what you do you give every ounce of your time. 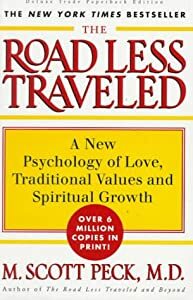 “Life is difficult” is the first sentence that was written by Dr.Scott Peck in his classic book The Road Less Traveled. Delaying gratification is the ability to be patient to obtain something you want. Why is this an important trait in a team member? well, if you think of a startup, you have limited resources and you are always trying to allocate that limited resource to the right activity so that the company goals can be achieved. Goal setting, prioritizing and achieving them is a function of this trait. If you are unable to prioritize and delay gratification you waste the limited resource. Accepting responsibility is the ability to take ownership of tasks related to the company and executing it. It is also the ability to constantly asking yourself if the time you are spending is in the right activity as it relates to the companies’s goals. More importantly, when things don’t go as planned, having the courage to tell yourself that you are responsible for your time, your task and your goals and not blame others in the team or the government or the environment or tax law or the economy for the position the company is in. If every team member of a startup takes responsibility for the collective goals of the team, usually all challenges can be overcome. When teams do that it is the most fulfilling feeling. I have been part of many team that executed that way and believe me it is an incredible feeling to be part of such a high power team. Dedication to truth, everyone should dedicate oneself to truth, truth is reality. Most of the assumptions that one makes while working on a startup has to be validated to be truth. Remember the definition of a Startup, creating something new of value under conditions of extreme uncertainty. If you shroud your judgement with falsehood the results don’t really line up. I think this is by far the most important of the traits. This is also the trait that allows teams to act, if the team accepts that something is untrue then we can take action and try something new. I always remind the management that bad news never gets better with time, bad news is bad news, we have to deal with it. The team does not have the courage to change when it is in denial. There are many instances when this is true, for example, you launch a product and you had assumed that you will have a conversion rate of 10% and the actual conversion rate is 1% what should you do? If you dedicate yourself to truth you will tell yourself that your hypothesis was incorrect so you have to change the strategy. What if you believe that the rate will improve over time? wait, wait and after you have burned all the resource you realize that it never worked, but if you hold onto falsehood you blame the government, the team, the market, your potential customer whatever to hold to your belief. That is just sad. I find this to be the biggest problem with early stage startups, they hold onto their hypothesis, idea, whatever like gospel and they don’t have the courage to face the truth and change their assumptions. Balancing is the technique of flexibility. Many a time we function with rigid, set patterns of behavior. Extraordinary flexibility is a must for successful entrepreneurship. Part of this technique is also learning to give up something that is dear and familiar to us. In refusing to suffer the pain of sacrifice, we fail to truly grow. It is in giving that we gain more. There are many instances when you need to give up on feature for launching the product, you need to have the ability to balance these conflicting requirements. All this comes back to Investing and Mentoring, I talk to many people in Iceland who are investors and they devote no time to understand or coach the team that they invest in. When things don’t go as planned they blame the culture, size, their lack of network outside of Iceland etc. I reject that notion, I think… no I believe we can build fantastic startups in Iceland and make them grow into world class companies, but the path to that is paved with hard work, effort and ensuring every stakeholder spends the required time to contribute. I don’t know if I will be successful or not but I know I want to do great things and I love what I do, once again quoting Steve Jobs, you cannot connect the dots looking forward, you can only connect them looking back.